Enter the battle at 14:00 ET for the Sunday Brawl with the guaranteed prize money for this Knockout Bounty tournament just having been raised from $250K to $350K this weekend. 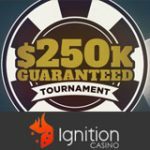 Or enter the Sunday Mulligan as your second big opportunity to win the guaranteed prize pool of $150K to $250K. 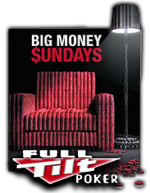 If you don't already have an existing Fulltilt account download the software and use WAP as your Fulltilt Poker bonus code. 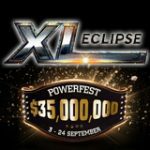 Satellite into these events starting from as low as $1 or just 50 Full Tilt Points. 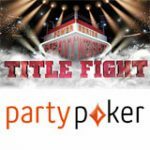 Check the FulltiltPoker lobby for the satellite that begins at 19:05 ET. 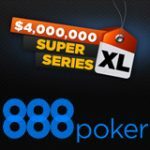 The $1,000,000 Monthly Guarantee prize pool at 18:00 ET on Sunday 21st September. 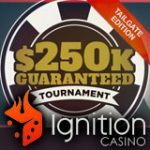 Buy in directly to this event for $500+$35. FultTilt Poker offer a huge bonus, a 100% match of your deposit up to $600when signing up and making your first cash deposit, to enable your bonus just use WAP as your Full Tilt Poker bonus code when creating a new player account.